No more refilling the water bowl! 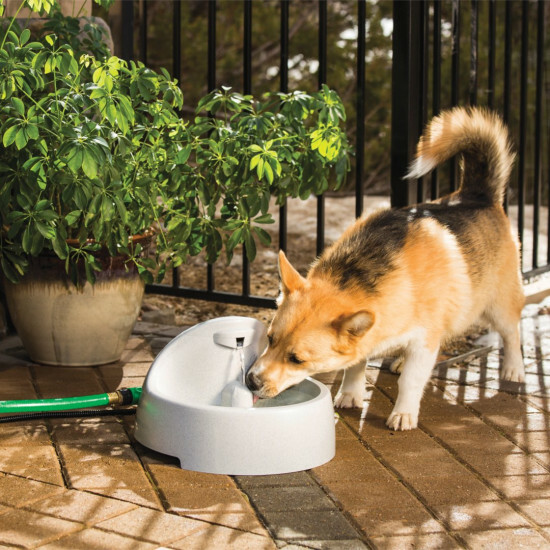 Now pets always have access to fresh, filtered water with the Everflow Pet Fountain. 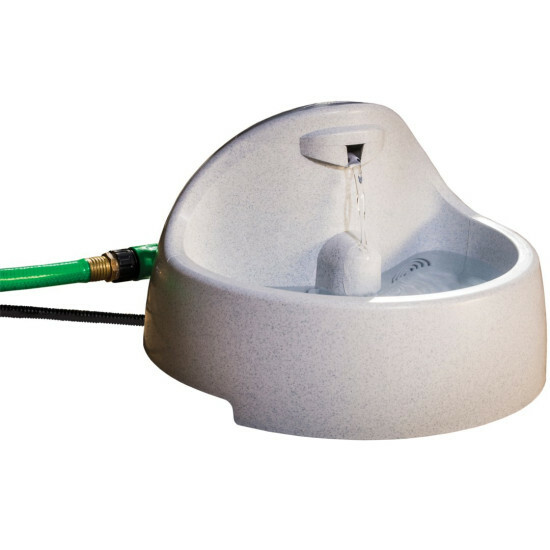 When used outdoors, the fountain connects to a standard garden hose and automatically refills to the desired water level you've chosen. 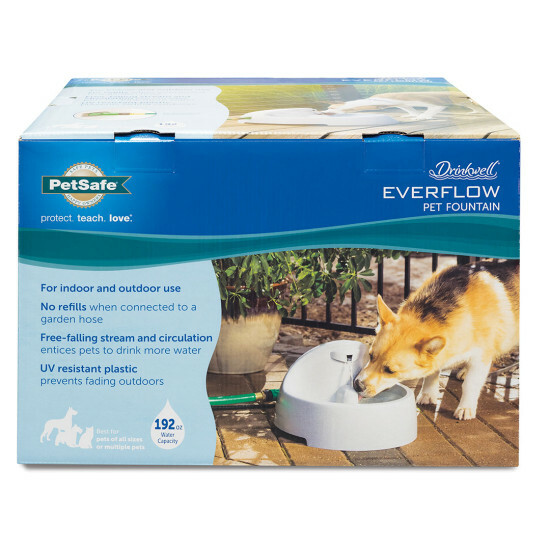 When used indoors, the Everflow can hold 1.5 gallons of water. The fountain continuously circulates and filters the water, keeping it cleaner and fresher than a normal water bowl.